Non-Smoker vehicle Heated Leather Seats, Third Row Seat, Back-Up Camera, iPod/MP3 Input, Turbo Charged Engine, 4x4, INCONTROL APPS , SIRIUSXM SATELLITE & HD RADIO , Onboard Communications System, WHEELS: 18 9 SPOKE ALLOY (STYLE 109). FUJI WHITE, BASIC INTERIOR PROTECTION & STORAGE P. FUEL EFFICIENT 25 MPG Hwy/21 MPG City! Fuji White exterior and Glacier/Lunar interior, SE trim CLICK NOW! KEY FEATURES INCLUDE 4x4, Back-Up Camera, Turbocharged, iPod/MP3 Input, Onboard Communications System, Remote Engine Start, Dual Zone A/C Rear Spoiler, Privacy Glass, Steering Wheel Controls, Child Safety Locks, Electronic Stability Control. OPTION PACKAGES 3RD ROW PACKAGE: 5+2 seating and 1 3rd row USB charging port, 3rd Row Ventilation, CLIMATE COMFORT PACKAGE: Heated Steering Wheel, Heated Front & Rear Seats, Heated Windshield, CONVENIENCE PACKAGE: Homelink, Powered Gesture Tailgate, Passive Entry, Auto-Dimming Interior Mirror, SIRIUSXM SATELLITE & HD RADIO, GLACIER/LUNAR, PERFORATED GRAINED LEATHER SEAT TRIM, BLIND SPOT MONITOR W/CLOSING VEHICLE SENSING: reverse traffic detection, BASIC INTERIOR PROTECTION & STORAGE PACK: Rubber Mats, Cargo Carrier, Loadspace Mat, BASIC REAR SEAT CONVENIENCE PACK (PREFERRED): 2 click and go base, 1 click and hang and 1 click and hook, INCONTROL APPS, WHEELS: 18 9 SPOKE ALLOY (STYLE 109): In sparkle silver (STD), FUJI WHITE. . BUY FROM AN AWARD WINNING DEALER Land Rover Flatirons is different. We have assembled a team whose goal is to deliver the best ownership experience possible to everyone that chooses to own a Land Rover or Range Rover. Our pre-owned cars are reconditioned to a level unequalled in the market. Horsepower calculations based on trim engine configuration. Fuel economy calculations based on original manufacturer data for trim engine configuration. Please confirm the accuracy of the included equipment by calling us prior to purchase. Non-Smoker vehicle Heated Leather Seats, Third Row Seat, Back-Up Camera, 4x4, Turbo Charged Engine, iPod/MP3 Input, SIRIUSXM SATELLITE & HD RADIO , WHEELS: 18 9 SPOKE ALLOY (STYLE 109). Onboard Communications System, Aluminum Wheels, 3RD ROW PACKAGE, BLIND SPOT MONITOR W/CLOSING VEHICLE. Scotia Grey Metallic exterior and Glacier/Lunar interior, SE trim. EPA 25 MPG Hwy/21 MPG City! CLICK ME! KEY FEATURES INCLUDE 4x4, Back-Up Camera, Turbocharged, iPod/MP3 Input, Onboard Communications System, Remote Engine Start, Dual Zone A/C Rear Spoiler, Privacy Glass, Child Safety Locks, Steering Wheel Controls, Electronic Stability Control. OPTION PACKAGES 3RD ROW PACKAGE: 5+2 seating and 1 3rd row USB charging port, 3rd Row Ventilation, CLIMATE COMFORT PACKAGE: Heated Steering Wheel, Heated Front & Rear Seats, Heated Windshield, CONVENIENCE PACKAGE: Homelink, Powered Gesture Tailgate, Passive Entry, Auto-Dimming Interior Mirror, SIRIUSXM SATELLITE & HD RADIO, GLACIER/LUNAR, PERFORATED GRAINED LEATHER SEAT TRIM, EXTERIOR PROTECTION PACK: Mud Flaps Front/Rear, Black Body Side Molding, SCOTIA GREY METALLIC, BLIND SPOT MONITOR W/CLOSING VEHICLE SENSING: reverse traffic detection, LOADSPACE COVER, 12-WAY POWER FRONT SEATS W/4-WAY LUMBAR: Adds forward/back tilt function to seat base, No memory functionality, WHEELS: 18 9 SPOKE ALLOY (STYLE 109): In sparkle silver (STD). Land Rover SE with Scotia Grey Metallic exterior and Glacier/Lunar interior features a 4 Cylinder Engine with 237 HP at 5500 RPM*. . Horsepower calculations based on trim engine configuration. Fuel economy calculations based on original manufacturer data for trim engine configuration. Please confirm the accuracy of the included equipment by calling us prior to purchase. Non-Smoker vehicle Nav System, Heated Leather Seats, Aluminum Wheels, EBONY/EBONY, PERFORATED GRAINED LEATH. EBONY/EBONY, PERFORATED GRAINED LEATHER SEAT TRIM, Turbo Charged Engine, iPod/MP3 Input, Onboard Communications System, 4x4, Back-Up Camera, LOADSPACE COVER, CLIMATE COMFORT PACKAGE. Corris Grey Metallic exterior and Ebony/Ebony interior, SE trim. EPA 25 MPG Hwy/21 MPG City! READ MORE! KEY FEATURES INCLUDE Turbocharged, Remote Engine Start, Dual Zone A/C Rear Spoiler, MP3 Player, Privacy Glass, Child Safety Locks, Steering Wheel Controls. OPTION PACKAGES CLIMATE COMFORT PACKAGE: Heated Steering Wheel, Heated Front & Rear Seats, Heated Windshield, CONVENIENCE PACKAGE: Homelink, Powered Gesture Tailgate, Passive Entry, Auto-Dimming Interior Mirror, VISION ASSIST PACKAGE: Front Fog Lamps, Xenon Headlamps w/LED Signature DRLs, NAVIGATION SYSTEM (TOUCH), SIRIUSXM SATELLITE & HD RADIO, EBONY/EBONY, PERFORATED GRAINED LEATHER SEAT TRIM, CORRIS GREY METALLIC, BLIND SPOT MONITOR W/CLOSING VEHICLE SENSING: reverse traffic detection, BASIC INTERIOR PROTECTION & STORAGE PACK: Rubber Mats, Cargo Carrier, Loadspace Mat, BASIC REAR SEAT CONVENIENCE PACK (PREFERRED): 2 click and go base, 1 click and hang and 1 click and hook, WHEEL PROTECTION PACK CHROME LOCKS (PREFERRED): chrome wheel locks, tire pressure gauge, alloy wheel/tire cleaner, detailer pack and branded valve stem caps BUY FROM AN AWARD WINNING DEALER Land Rover Flatirons is different. We have assembled a team whose goal is to deliver the best ownership experience possible to everyone that chooses to own a Land Rover or Range Rover. Our pre-owned cars are reconditioned to a level unequalled in the market. Horsepower calculations based on trim engine configuration. Fuel economy calculations based on original manufacturer data for trim engine configuration. Please confirm the accuracy of the included equipment by calling us prior to purchase. Non-Smoker vehicle Heated Leather Seats, 3rd Row Seat, NAV, iPod/MP3 Input, CLIMATE COMFORT PACKAGE , 4x4, Back-Up Camera, WHEELS: 19 5 SPLIT SPOKE (STYLE 521). SIRIUSXM SATELLITE & HD RADIO, LOADSPACE COVER, VISION ASSIST PACKAGE, LOIRE BLUE METALLIC, NAVIGATION SYSTEM (TOUCH). FUEL EFFICIENT 25 MPG Hwy/21 MPG City! SE trim, Loire Blue Metallic exterior and Ebony/Ebony interior READ MORE! KEY FEATURES INCLUDE 4x4, Back-Up Camera, Turbocharged, iPod/MP3 Input, Onboard Communications System, Aluminum Wheels, Remote Engine Start, Dual Zone A/C Rear Spoiler, Privacy Glass, Steering Wheel Controls, Child Safety Locks, Electronic Stability Control. OPTION PACKAGES 3RD ROW PACKAGE: 5+2 seating and 1 3rd row USB charging port, 3rd Row Ventilation, WHEELS: 19 5 SPLIT SPOKE (STYLE 521): Tires: 19, CLIMATE COMFORT PACKAGE: Heated Steering Wheel, Heated Front & Rear Seats, Heated Windshield, CONVENIENCE PACKAGE: Homelink, Powered Gesture Tailgate, Passive Entry, Auto-Dimming Interior Mirror, VISION ASSIST PACKAGE: Front Fog Lamps, Xenon Headlamps w/LED Signature DRLs, NAVIGATION SYSTEM (TOUCH), SIRIUSXM SATELLITE & HD RADIO, BLIND SPOT MONITOR W/CLOSING VEHICLE SENSING: reverse traffic detection, EBONY/EBONY, PARTIAL LEATHER SEAT TRIM. Land Rover SE with Loire Blue Metallic exterior and Ebony/Ebony interior features a 4 Cylinder Engine with 237 HP at 5500 RPM*. . Horsepower calculations based on trim engine configuration. Fuel economy calculations based on original manufacturer data for trim engine configuration. Please confirm the accuracy of the included equipment by calling us prior to purchase. Non-Smoker vehicle Nav System, Moonroof, Heated Leather Seats, 4x4, Panoramic Roof, Power Liftgate, CLIMATE COMFORT PACKAGE, CORRIS GREY METALLIC, SIRIUSXM SATELLITE & HD RADIO, VISION ASSIST PACKAGE, Turbo Charged Engine, Aluminum Wheels, Non-Smoker vehicle. Landmark trim, Corris Grey Metallic exterior and Ebony/Ebony interior. FUEL EFFICIENT 25 MPG Hwy/21 MPG City! READ MORE! KEY FEATURES INCLUDE Navigation, Sunroof, Turbocharged, iPod/MP3 Input, Onboard Communications System, Remote Engine Start, Dual Zone A/C, Hands-Free Liftgate Rear Spoiler, MP3 Player, Remote Trunk Release, Keyless Entry, Privacy Glass. OPTION PACKAGES VISION ASSIST PACKAGE: Surround Camera System, Adaptive Xenon Headlamps w/LED Signature DRLs, Blind Spot Monitor w/Closing Vehicle Sensing, reverse traffic detection, Auto High Beam Assist (AHBA), CLIMATE COMFORT PACKAGE: Heated Steering Wheel, Heated/Cooled Front & Heated Rear Seats, Heated Windshield, BASIC INTERIOR PROTECTION & STORAGE PACK: Rubber Mats, Cargo Carrier, Loadspace Mat, EBONY/EBONY, GRAINED LEATHER SEAT TRIM. 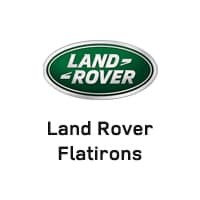 Land Rover Landmark with Corris Grey Metallic exterior and Ebony/Ebony interior features a 4 Cylinder Engine with 237 HP at 5500 RPM*. . BUY FROM AN AWARD WINNING DEALER Land Rover Flatirons is different. We have assembled a team whose goal is to deliver the best ownership experience possible to everyone that chooses to own a Land Rover or Range Rover. Our pre-owned cars are reconditioned to a level unequalled in the market. Horsepower calculations based on trim engine configuration. Fuel economy calculations based on original manufacturer data for trim engine configuration. Please confirm the accuracy of the included equipment by calling us prior to purchase. Non-Smoker vehicle Leather Seats, Sunroof, NAV, Power Liftgate, iPod/MP3 Input, 4x4, Panoramic Roof, HEAD-UP DISPLAY & PARK ASSIST PACKAGE. DRIVER ASSIST PLUS PACKAGE (INCONTROL. WHEELS: 20 5 SPLIT SPOKE W/GLOSS BLA. SIRIUSXM SATELLITE & HD RADIO, Turbo, NARVIK BLACK. FUEL EFFICIENT 25 MPG Hwy/20 MPG City! Narvik Black exterior and Ebony w/Cirrus Piping interior, HSE trim SEE MORE! KEY FEATURES INCLUDE Sunroof, Panoramic Roof, 4x4, Power Liftgate, Turbocharged, iPod/MP3 Input, Onboard Communications System, Remote Engine Start, Dual Zone A/C, Hands-Free Liftgate Rear Spoiler, MP3 Player, Keyless Entry, Privacy Glass, Remote Trunk Release. OPTION PACKAGES VISION ASSIST PACKAGE: Surround Camera System, Adaptive Xenon Headlamps w/LED Signature DRLs, Blind Spot Monitor w/Closing Vehicle Sensing, reverse traffic detection, Auto High Beam Assist (AHBA), HEAD-UP DISPLAY & PARK ASSIST PACKAGE: Parallel & Perpendicular Park Assist, Head-Up Display, DRIVER ASSIST PLUS PACKAGE (INCONTROL TOUCH): Traffic Sign Recognition, Navigation System (Touch), Automatic Emergency Braking (AEB), Lane Keep Assist w/Driver Condition Monitor, SIRIUSXM SATELLITE & HD RADIO, BASIC INTERIOR PROTECTION & STORAGE PACK: Rubber Mats, Cargo Carrier, Loadspace Mat, EBONY MORZINE HEADLINER, LOADSPACE COVER, EBONY W/CIRRUS PIPING, WINDSOR LEATHER SEAT TRIM W/CONTRAST MICRO-PIPING, WHEELS: 20 5 SPLIT SPOKE W/GLOSS BLACK FINISH: Alloy style 511 (STD), NARVIK BLACK. . WHO WE ARE Land Rover Flatirons is different. We have assembled a team whose goal is to deliver the best ownership experience possible to everyone that chooses to own a Land Rover or Range Rover. Our pre-owned cars are reconditioned to a level unequalled in the market. Horsepower calculations based on trim engine configuration. Fuel economy calculations based on original manufacturer data for trim engine configuration. Please confirm the accuracy of the included equipment by calling us prior to purchase.